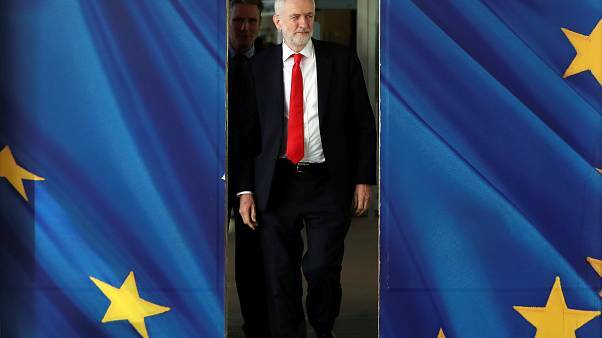 What is UK Labour leader Jeremy Corbyn’s policy on Brexit? 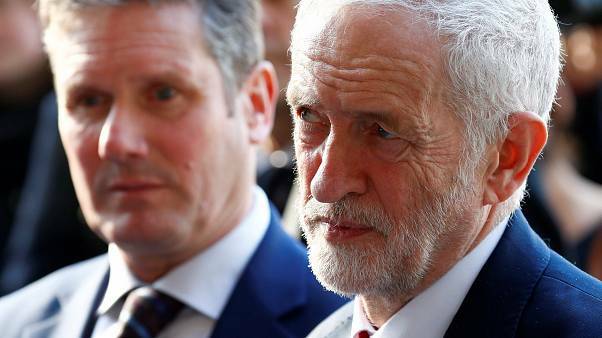 Ninth MP quits Labour Party accusing leader of "supporting extremists"
A group of seven MPs resigned from the UK's Labour party on Monday morning amid recent criticism of handlings of Brexit and anti-Semitic sentiments within the party. In today's Brexit Brief, British Prime Minister Theresa May responds to the Labour party, MPs gear up for a Brexit debate on Thursday and Germany experiences job losses. Brexit guide: what does Theresa May's letter to Jeremy Corbyn mean? British Prime Minister Theresa May sent a three-page letter to opposition leader Jeremy Corbyn on Sunday night calling for further negotiations on her Brexit deal. But what does it mean? Euronews has the answers. In a Euronews Davos special, Andrew Neil questions former British Foreign Secretary David Miliband on Social Democratic politics, the rise of populism and more. Scotland Yard has opened a criminal investigation into allegations of antisemitic hate crimes linked to Labour party members. In order for Europe to be a champion of human rights globally, we have to get our own house in order first. Many of Orbán’s allies in the centre-right European People’s party (EPP) deserted him. 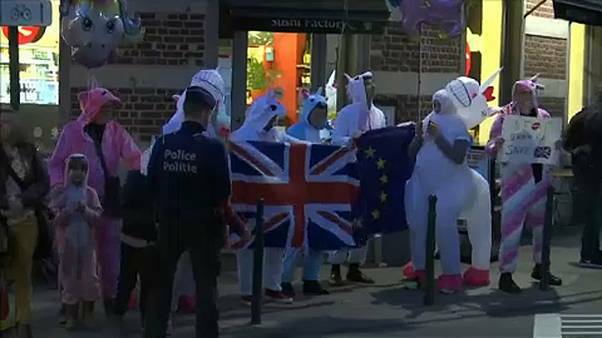 Those expressing their disgust also included fellow Scottish MEPs from the Scottish National Party and the Scottish Conservatives. But it didn’t include most of the Conservative MEPs from England. These are turbulent times and the way the UK has conducted Brexit talks is threatening our future relationship with the EU. We can’t afford to alienate ourselves even more by offering Orban political support in exchange for his. A thank you letter from a far right leader for showing solidarity is not something I would be proud for my party to be associated with. It's astonishing the level The Tories are prepared to stoop to in order to get support for their failed Brexit plan. It is important to note that the Tories sit in the European Parliament along with PiS, the Polish ruling party, who have taken very hostile actions against the independence of the judiciary in their country. These actions leave you wondering whether the Tories see democracy as a priority. It is frankly shameful that the Conservatives were the only ruling party in Western Europe that voted to support Orbán and at a time when my nation needs friends more than ever before, this is hardly a successful strategy to make friends and influence people. How a motion approved by the Labour Party could increase the chances of a second Brexit referendum. Britain's main opposition party is expected to announce today that it will order MP's to vote down the Prime Minister's current Brexit proposals. It comes as debate roars over a fresh referendum. Euronews brings you the latest news and updates as they happen this morning. 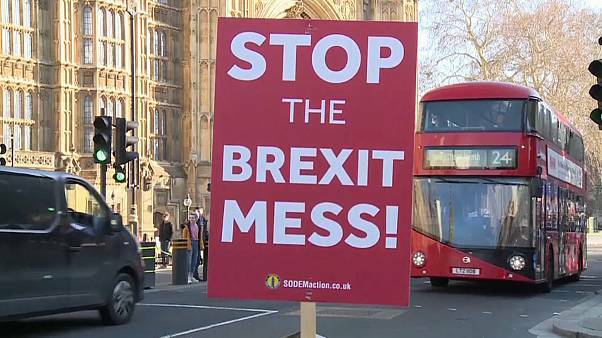 Sadiq Khan's demands come ahead of Labour’s annual conference next week, with over 100 anti-Brexit motions submitted. The UK's Labour Party has fully adopted an internationally recognized definition of anti-Semitism.  The party partially adopted the International Holocaust Remembrance Alliance's definition of the term in July -- but drew criticism for leaving out certain examples. 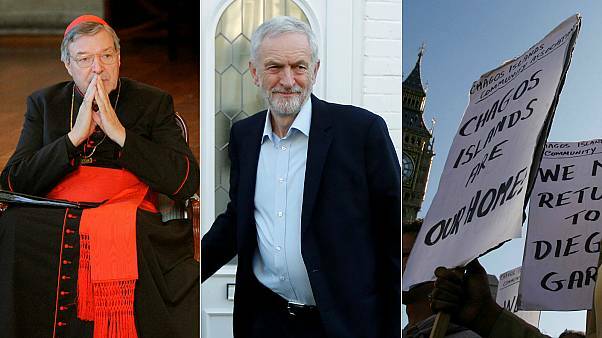 Leaders in Britain's Labour Party are meeting today to clarify their definition of anti-Semitism. 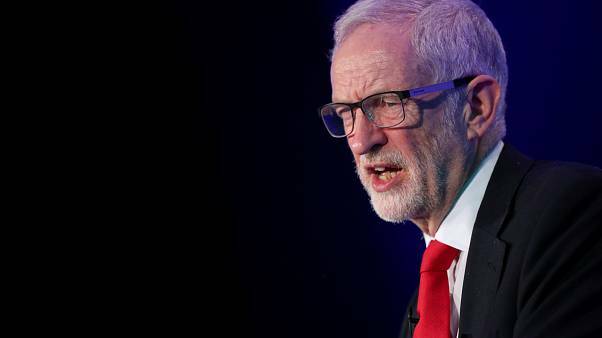 Labour leader Jeremy Corbyn will be there, and no doubt is hoping for an end to the anti-Semitism row that has dogged him and his party throughout the summer. Former British Prime Minister Tony Blair has blamed Jeremy Corbyn's "visceral anti-Western position" for the antisemitism row currently gripping the Labour party.